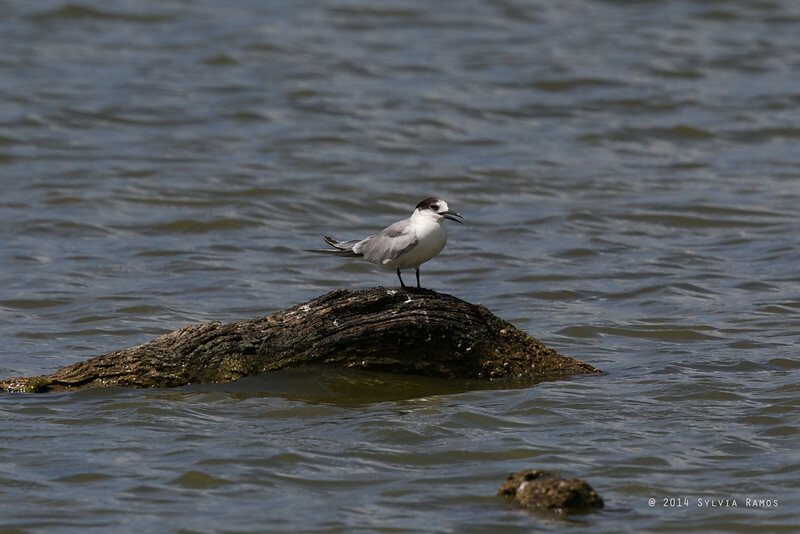 According to the Kennedy guide, this bird is found "along coast in bays and estuaries, mud and coral flats as well as inland bodies of water". It is actually uncommon, even if it is called "Common". It is bigger and has a longer and thinner bill than the more common Whiskered Tern. The head is all black when in breeding plumage. It also has a more deeply forked tail than Whiskered Tern and black legs. **note: number is out of sequence for this bird!